In the book of Esther and her story of how that she saved the Jewish people in the time of the Persian Empire from a ruthless, evil man named Haman. Near the end of the story you find out that Mordecai instituted a national holiday in remembrance of Esther’s bravery, and the saving of the Israelite people. The holiday that was instituted was the Feast of Purim. 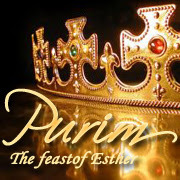 The thing that I would like to find out about the Feast of Purim is how the Feast is observed today: what is done, how often is it done, and is it still revolving around Esther’s story? 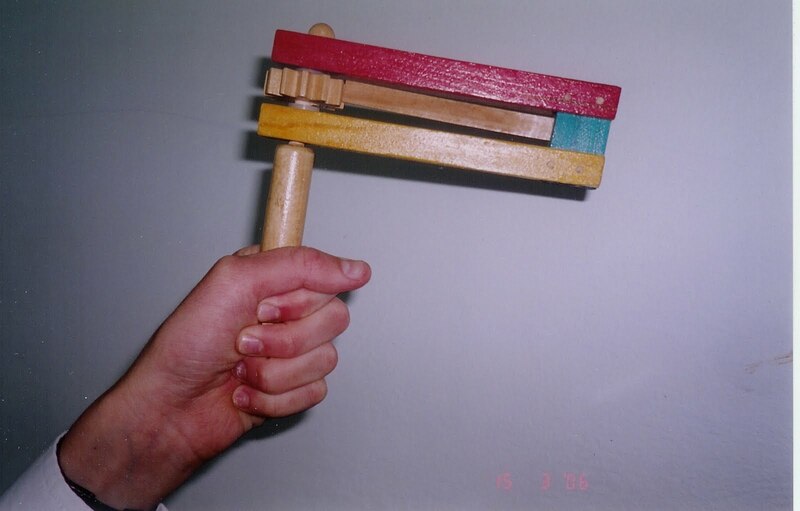 Before I delve into the questions that I would like to consider, there was an interesting proposal that I read entitled “Modern Echoes of Purim” found at http://www.jewfaq.org/holiday9.htm. The proposal offers an interesting view of the repetition of Purim in the past, with some scary resemblance. In the article it mentions that Purim in Jewish Tradition is about the near genocide done on the Jews, and then it compares this instance with the Genocide by Hitler during the Civil War. What’s interesting is the almost complete parallel (if this site is accurate) between to two events. “In the Book of Esther, Haman’s ten sons were hanged (Esther 9:13); in 1946, ten of Hitler’s top associates were put to death by hanging for their war crimes (including the crime of murdering 6 million Jews). An 11th associate of Hitler, Hermann Göring, committed suicide the night before the execution, a parallel to the suicide of Haman’s daughter recorded in the Talmud (Megillah 16a). There are rumors that Göring was a transvestite, making that an even more accurate parallel.” This I found to be beyond intriguing and definitely worth some research for anyone willing/curious enough to do it. Moving on to the observation of the Feast of Purim, with short research it is found that the Feast of Purim is still celebrated today. In fact, one person called it the “Jewish Mardi Gras”. (https://bible.org/seriespage/5-feast-purim-jewish-mardi-gras-esther-81-103) An idea that helps form this proposal is how another article says that the Feast of Purim has now turned into more of a national holiday than a religious one. (http://www.gotquestions.org/Feast-of-Purim.html) In fact, one of the things that resembles more of a national holiday than a religious holiday is how that it has essentially become the Jewish Halloween. Due to tradition, one of the things done at the feast is to dress up and hiding your identity to symbolize Esther’s hiding of her identity in the beginning of the book. Furthermore, it was often done by everyone dressing up as Esther or Mordecai. However, modern day Feast of Purim has taken a new spin on dressing up. “Traditionally people would dress up as characters from the Purim story, for example, as Esther or Mordechai. However, nowadays people enjoy dressing up as all manner of different characters: Harry Potter, Batman, wizards, you name it!” (http://judaism.about.com/od/holidays/a/Purim.htm) It’s easy from this one example to show how that the religious holiday has become more of a national holiday; much like Christmas is for Christians today (yes, I know, Jesus birth was probably not then, and yes I know that it replaced the Winter Festival of the Romans that was basically a week of lawlessness celebrating Saturn. However, the Catholics created it as a Christian holiday and it has digressed greatly from that). What really makes this holiday the Jewish Mardi Gras though is the drinking. “Consuming alcohol is usually part of the event, and it’s said one should drink until “Cursed is Haman!” sounds the same as “Blessed is Mordecai!”” (http://www.gotquestions.org/Feast-of-Purim.html) I didn’t really get a good reason for this being so except for the fact that it’s supposedly a command and that the Feast of Purim is supposed to be a “merry” event. Evidently this implies getting plastered. Along with the drinking there is also music, dancing, and parades. Just as it is called the “Feast” of Purim, it is appropriate that there is a lot of food. “It is traditional to have a jovial feast, or Seudat Purim, in the evening of the holiday. 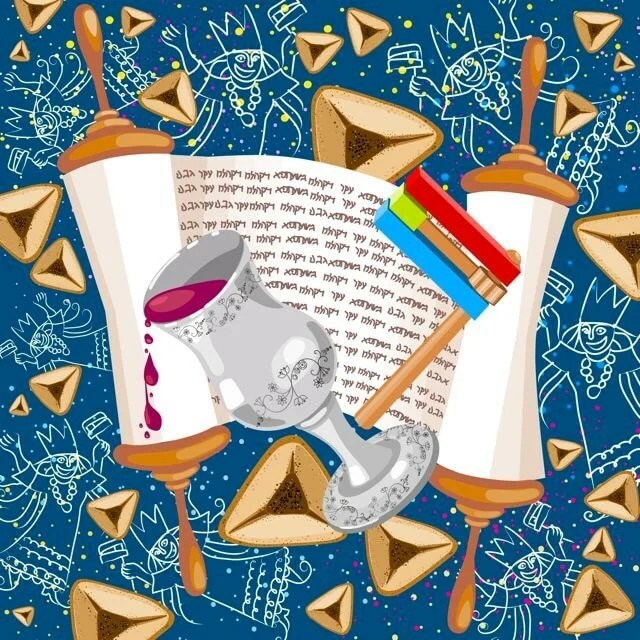 Drinking alcohol is mandatory on Purim, and in fact, the requirement in the Talmud goes so far as to instruct that one should get so drunk that they can’t tell the difference between the phrases Arur Haman (“cursed is Haman”) andBaruch Mordechai (“blessed is Mordecai”). Traditional foods include Oznei Haman orHamentaschen (“ears of Haman”), a triangular cookie usually filled with different flavors of jam, which is supposed to represent either Haman’s ears or his three-cornered hat. Another triangular shaped food that is customary to eat are kreplach, small dumplings usually filled with meat, mashed potatoes, or other fillings. Other traditional foods are dishes made with beans, a reminder of what Esther ate in the king’s palace in order to avoid eating non-kosher foods.” (http://toriavey.com/what-is-purim/) Based upon my research, there is a lot of food there. In fact, the best way to describe it is to think of a southern family’s thanksgiving time a thousand. Many of the dishes that I found sounded pretty good, and they are easily found for anyone that would like to try making them. Purim is celebrated on the 14th of Adar which is usually in March; however, for certain places it is celebrated on the 15th of Adar. “Purim is celebrated on the 14th day of Adar, which is usually in March. The 13th of Adar is the day that Haman chose for the extermination of the Jews, and the day that the Jews battled their enemies for their lives. On the day afterwards, the 14th, they celebrated their survival. In cities that were walled in the time of Joshua, Purim is celebrated on the 15th of the month, because the book of Esther says that in Shushan (a walled city), deliverance from the massacre was not complete until the next day. The 15th is referred to as Shushan Purim” (http://www.jewfaq.org/holiday9.htm) The listed dates for the next few Feasts of Purim are Jewish Year 5775: sunset March 4, 2015 – nightfall March 5, 2015, Jewish Year 5776: sunset March 23, 2016 – nightfall March 24, 2016, Jewish Year 5777: sunset March 11, 2017 – nightfall March 12, 2017. The Feast of Purim is overall a holiday that is made for rejoicing and happiness. The Jewish people use this to celebrate and commemorate how that they were saved from near death by Esther, and this is something that is worth rejoicing over. The holiday may have changed a little bit, and may have become more national than religious; however, it is still evident that the main idea behind the celebration is their deliverance from evil hands. Posted on November 10, 2014 November 10, 2014 by dgaskins08	This entry was posted in Uncategorized. Bookmark the permalink.